Gufu Oba has written a book with the title Climate Change Adaptation in Africa. An historical Ecology. 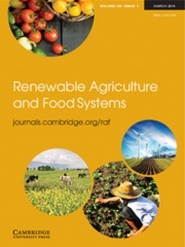 The book is published in the series: Routledge Advances in Climate Change Research and will beavailable by the end of June. Climate Change Adaptation in Africa. An historical Ecology. In the context of growing global concerns about climate change, this book presents a regional and sub-continental synthesis of pastoralists' responses to past environmental changes and reflects on the lessons for current and future environmental challenges. Drawing from rock art, archaeology, paleoecological data, trade, ancient hydrological technology, vegetation, social memory and historical documentation, this book creates detailed reconstructions of past climate change adaptations across Sahelian Africa. It evaluates the present and future challenges to climate change adaptation in the region in terms of social memory, rainfall variability, environmental change and armed conflicts and examines the ways in which governance and policy drivers may undermine pastoralists’ adaptive strategies. The book’s scope covers the Red Sea coast, Somaliland, Somalia, the Ogaden region of Ethiopia, and northern Kenya, part of the Ethiopian highlands and Eritrea, areas where past climate change has been extreme and future change makes it vital to understand the dynamics of adaptation. K. Agustsson , A. Garibjana , E. Rojas and A. Vatn. 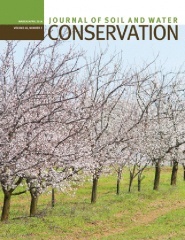 This paper evaluates the introduction of the Bolsa Floresta Programme (BFP) in the Juma Sustainable Development Reserve in Brazil. The BFP in Juma is a validated REDD+ project emphasizing payments for ecosystem services. The analyses are based on interviews with about 25% of the households in Juma, local leaders and representatives of the organiser of the BFP — the Fundação Amazonas Sustentável (FAS). The strategy of FAS is to avoid deforestation by providing support to local communities to improve their livelihoods. The paper analyses the influence of the BFP and the rules of the reserve on people's livelihoods, the local perception of the programme and the interactions between FAS and the local communities. It appears that the BFP is more of a development programme than a standard payment for ecosystem services initiative. As such it seems to have good potential, while we note that the main environmental effects are expected to materialize mainly in the future. 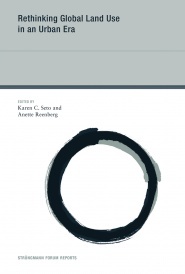 Tor Arve Benjaminsen has co-authored a book chapter on Changes in Land-Use Governance in an Urban Era in the book Rethinking Global Land Use in an Urban Era by Karen C. Seto and Anette Reenberg, 2014. The book chapter is a longer version of the article published in 2013 Global land Governance: from territory to flow. Land use is being fundamentally transformed worldwide. Governance mechanisms that manage land use are changing from territorial organizations to global institutions anchored to specific resource flows between urban and rural areas. This shift reflects an underlying change of values attached to land, from the creation of new monetary values to the assertion of social values. Such a revalorization has, in turn, fueled global competition and led to governance arrangements that may appear fragmented from the vantage point of any particular land plot. In addition, rising urbanization impacts and reflects governance arrangements for land use. This chapter addresses the governance of land use in an urban era, with a focus on the emergence of global arrangements to address land competition and the telecoupling effects that arise between coupled multiscalar systems. 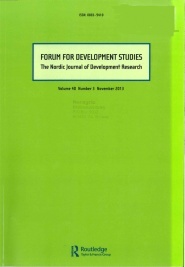 Key words: biopolitics, development studies, Foucault, environmental change, Anthropocene. 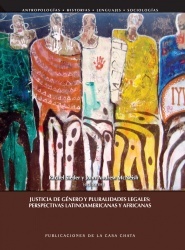 Seider, R & McNeish, J.A (2013) Gender, Justice and Legal Pluralities: Latin American and African Perspectives, CIESAS Mexico is now published under the Spanish title: Justicia de Género y Pluralidades Legales: Perspectivas Latinoamericanos y Africanas. Lenaerts, Lutgart, Mark Breusers, Stefaan Dondeyne, Hans Bauer, Mitiku Haile and Jozef Deckers. 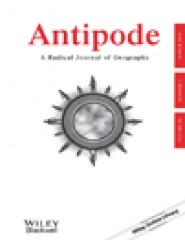 ‘This pasture is ours since ancient times’: An ethnographic analysis of the reduction in conflicts along the post-1991 Afar-Tigray regional boundary J. of Modern African Studies, 52, 1 (2014), pp. 25-44 © Cambridge University Press 2014.